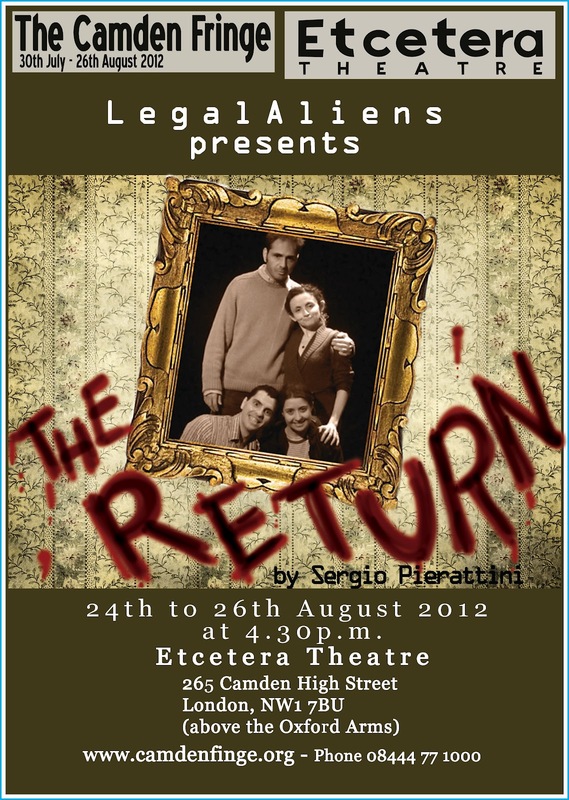 Legalaliens is a theatre company based in London and devoted to perform plays that speak to people about current affairs, society and immigration: they asked me to produce a few graphic elements for their upcoming show "The return", the play by Sergio Pierattini, tells about the dark secret of a northern Italian family. 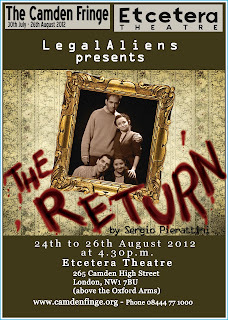 It is a very actual story and hopefully it will awake the interest of the multi-kulti London audience. 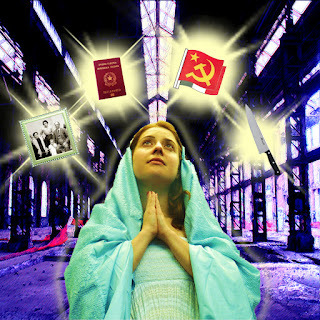 I did for them, this digital collage (together with graphic artist Giovanni De Grande) which represents the elements of the story and was used for the general program of the Camdem Fringe Festival, where the play will be performed. and I also did the poster!! Being this, my first graphic job of this kind, I am quite pleased with the result.